Okay, don't freak out, but Causwells is in the Marina. Still, the burger is so good, it's well worth heading there for lunch (11:30am-4pm) or dinner (4pm-1am). Don't trust us? Fine. Arrange the outing around a trip to the movies. 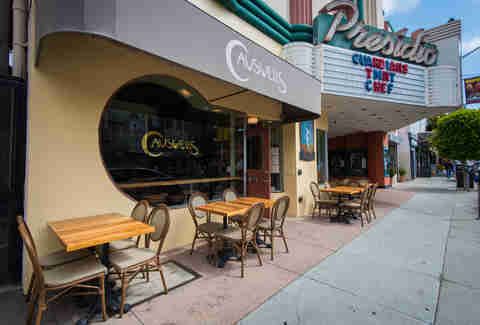 Presidio Theater is directly next door. The American burger is part Whopper and part Double-Double, but, like, a bazillion times better than either. 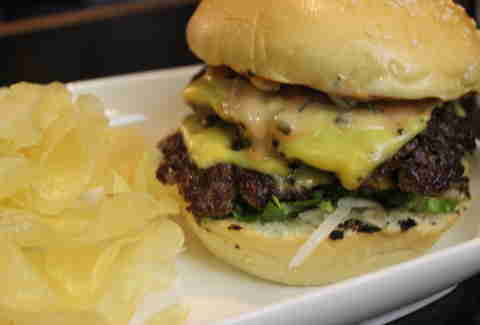 The meat is mixed with dry-aged fat and there are two patties, both covered in American cheese. The secret sauce is a combo of house-made Worcestershire, house-made Thousand Island dressing, and secret delicious stuff. The pickles are lacto-fermented for three weeks and it's all served on a Petit Pain bun. And it is all so much gloriously better than the sum of its parts. 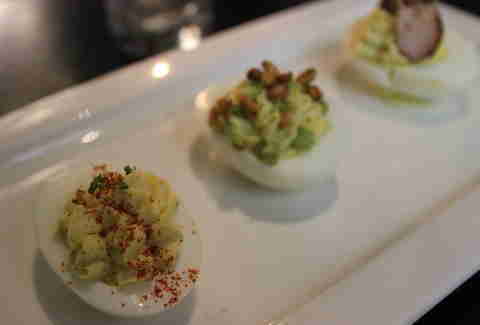 You're also going to want to order the trio of deviled eggs. You get one classic, one avocado, and one with smoked trout, all of which are equally delicious. 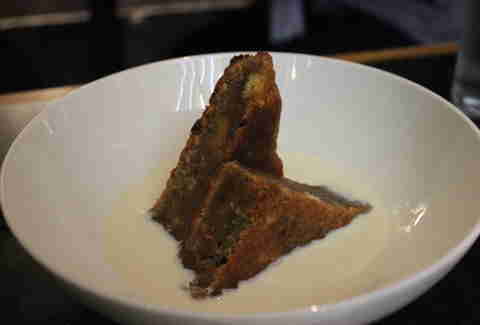 Finish your meal with "All-Star" donut bread pudding in spiced milk. The cinnamon-laced bread pudding is made with delicious day-old donuts from All Star and is as ridiculously delicious as it sounds. Not as good as the burger, of course, but then again, almost nothing in life is. 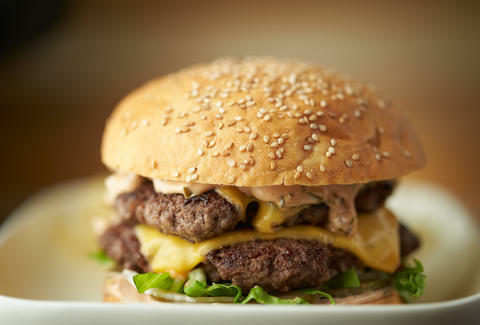 Daisy Barringer is Thrillist's SF Editor and she is dead serious when she says this burger is her new favorite burger. And she does NOT make that statement lightly. Tell her about about your favorite burgers on Twitter @daisy.